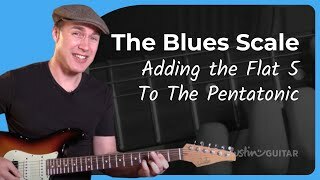 Starting your journey into Blues guitar is great fun! 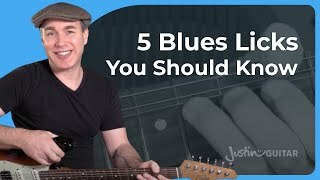 Blues is a language and learning to communicate and it's very easy to learn the basics and get 'talking' right away. 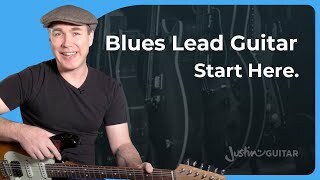 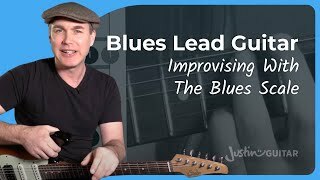 This first module in Blues Lead Guitar called Essential Blues Lead Guitar will take you through the techniques, vocabulary, scales and concepts you'll need to start improvising and jamming the blues! 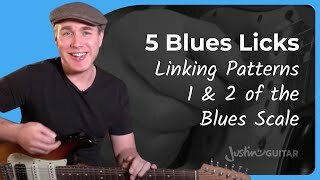 There are 13 lessons in this module (plus two BOUNS lessons on the DVD/Download version). 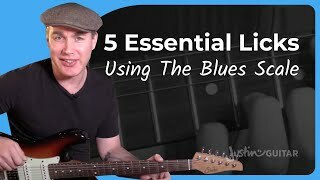 I recommend that you have completed the Intermediate Foundation Modules 3 & 4 before starting this, however, if you've completed the Beginner's Course and keen to get going it wouldn't hurt to make a start - but I've written it with the Intermediate guitar player in mind. 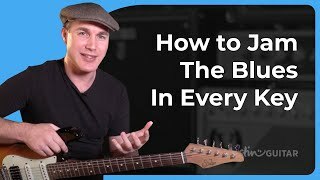 Few people have said that this is one of the most useful and important lessons on my whole website and they might be right! 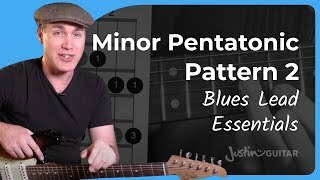 The Minor Pentatonic is commonly the first scale people learn, and with good reason, it's easy and super useful, especially for The Blues! 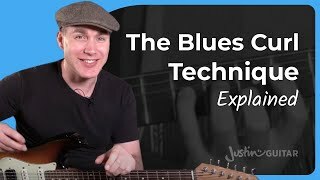 Bending is an essential technique if you want to speak the blues language. 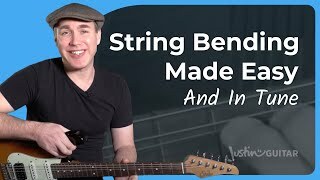 You'll learn how to push the string up over the fretboard to increase the note pitch! 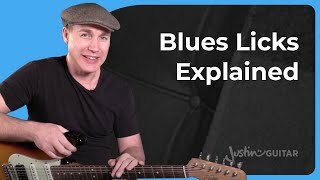 Your first Blues words! 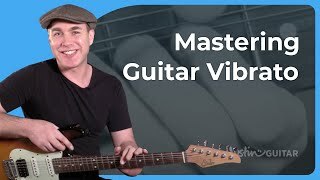 I'll feel like a proud Dad when you're speaking them! 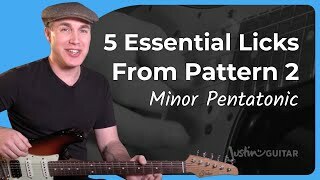 Five licks from Pattern 1 of the Minor Pentatonic.